There are people who know much more about Lottie Montmerencie than she knows about herself. And some of them are very evil people indeed. The young library assistant is in mortal danger, though she is hardly aware of it, and certainly has no inkling why. Who are those two ugly, menacing, but fortunately comically inept thugs who follow her to work? Can she even trust her friends? 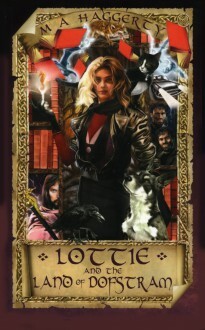 Fortunately for Lottie, those on the side of good also know the secrets that have yet to be revealed to her, and she is surrounded by protective forces, both human and animal. But there is powerful magic on both sides, and she will need all her wits and all her courage if she is to survive. This is the first part of an epic tale of myth and magic in a modern setting, with surprises at every turn.